S.T.A.L.K.E.R. was an ambitious, if somewhat crude first-person game released in 2007. For all its quirks, it has a devoted fanbase, and some of those fans are now endeavouring to give the game a major facelift. While visual mods for the S.T.A.L.K.E.R. 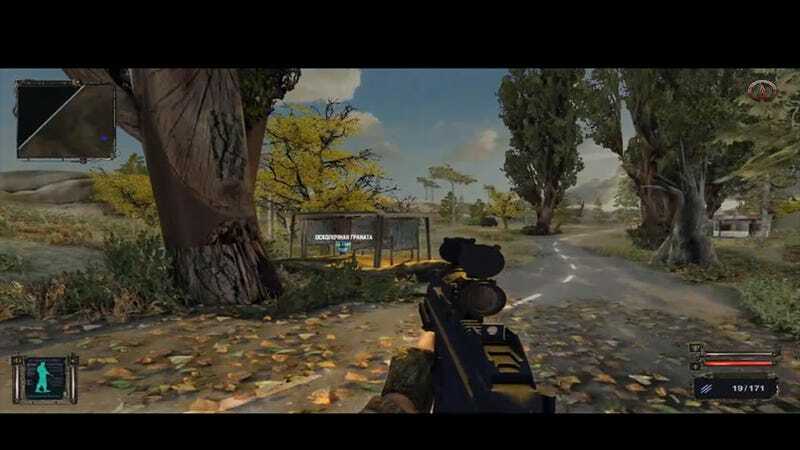 series are common, this goes way beyond that: a team of Russians is trying to take the game and essentially recreate it using the Crytek engine used in Crysis. Not only is that a more stable engine, it's a much better-looking one too, as you can see in the clips here. In addition to the improved visuals and physics, the modders are also going to make a few changes to the game, including a new healing system. Now, we shouldn't need to tell you not to get too excited about this. Mods as ambitious as this rarely ever make it to the finish line, so don't expect this to ever be fully completed and ready to play. Here's the link to the mod's site, though. Just in case.